This Wikimedia photo was taken in West Miami, Florida. Now that Energy Star’s incentive for manufactured housing has reached its sunset date at the end of 2016, who will take the lead in advancing these goals? The federal political climate is not an encouraging one for Energy Star because it is a United States Environmental Protection Agency program. But regionally, Northwest Energy Efficiency Alliance (NEEA), in partnership with Bonneville Power Administration (BPA) and a group of utilities, has stepped into an innovative role. It is continuing a preexisting program that is providing an example of regional success. The foundation of the regional program’s high performance rests on a decade-plus-long track record of constructive communication with manufacturers, utilities and consumers. “It is about two percent more efficient than the national Energy Star specification for manufactured housing,” Grigsby said. This year, the stakeholders are working together to raise the bar further and go beyond the new United States Department of Housing and Urban Development (HUD) code standard. They are also using new marketing techniques to seek feedback from customers. 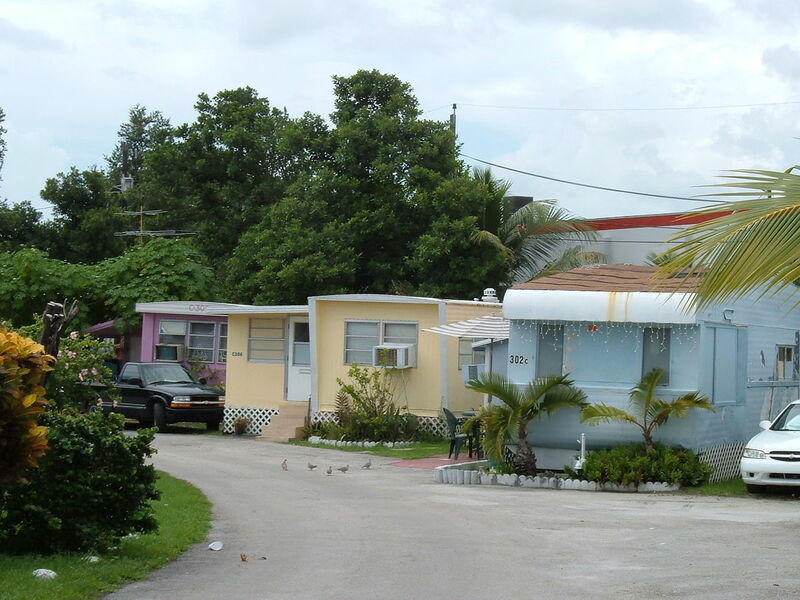 CEFF: What are the accomplishments of your manufactured housing program? When did it begin? Grigsby: NEEA’s role is that we are just getting into the manufactured homes market. NEEA’s current role in the manufactured homes market is to build a new specification that exceeds the current Energy Star performance level. But the program in the Northwest has been active since 1996. It is a program called the Northwest Energy Efficient Manufactured Housing Program (NEEM). It’s supported by the manufactured-home industry here. The manufactured-home industry has adopted this NEEM 1.1 specification to be the Energy Star brand in the Northwest. There is a difference between the national Energy Star specification and the Northwest Energy Star specification. Ours is built around this NEEM 1.1, but it’s still branded as Energy Star. The program is pretty self-sufficient as far as the relationships between manufacturers and retailers go. The administrator of the NEEM program, Northwest Energy Works, is there to build the specification and provide quality assurance. And then the utilities are involved by paying the incentives to the buyers of the manufactured homes. That’s what currently exists. CEFF: You’ve had a high rate of adoption. To what do you attribute the success that you’ve had so far? Grigsby: Having a program administrator who is the boots on the ground out here to build the relationships with manufacturers. NEEM is well entrenched in the Northwest industry here. They have been working on it since it launched. By developing the relationships with the manufacturers and retailers, they’ve been able to get buy-in, overcome challenges, and create market demand in order to get to that market share. CEFF: I noticed online that the Energy Star tax credit for efficient manufactured housing was scheduled to vanish at the federal level as of the end of 2016. Does this affect any of your activities? Grigsby: The federal tax credit? Not so much. We haven’t spent a lot of time focusing on that in planning our next strategy and intervention with the current specification or even trying to get to a more stringent specification. Instead, what we’re focusing on is preparing the Northwest utilities to be able to shift their current manufactured-home incentive from the current NEEM specification to a higher specification once that’s available. So NEEA’s role in this over the last 12 months or so has been to start drafting a new specification for the new NEEM program in anticipation of a HUD code change. There might be a pretty significant delay in the process of actually changing the HUD code this time. But we are preparing to respond to that code change by building a new specification that would be another 20 to 30 percent above the new HUD code. Doing that would open up new savings opportunities for the utilities. It would also be an opportunity for them to continue their support for the manufactured-home buyers under the new specification. Part of that process for us in preparing for that is conducting an analysis of the new specification to make sure that the savings are valid. We work with a regional technical forum of experts to approve these specifications. Then we work with BPA to include it in their offerings for utilities. CEFF: I’m interested in hearing more about your future goals and objectives to expand the incentives or improve them. Grigsby: Right now, it’s focused on establishing what this new specification is between now and when the HUD code actually does change. If we’re able to get that into the market now, that’s going to create even greater savings opportunities for the region. So once that specification is established, we need to work really closely with the manufacturers to train them on that new specification so that they become proficient in building to a higher efficiency and are able to establish best practices in adopting more advanced building practices than what they’re used to in their factories. So, to start that process, we met with each of the nine manufacturers in the Northwest. We did this to get a current state of the market from them, talk about the pending HUD code change that might go into effect, and find out just how big the Energy Star manufactured homes are as part of their business models right now. Then we took time to explain our role in this, talk about the idea of having an even more stringent specification that will be the future NEEM program specification, and start to gauge their interest in building demonstration projects to this specification. We were happy to hear a positive response from most of the manufacturers about wanting to build demonstration projects. And that’s what we’re focusing on for the first part of 2016. We would like manufacturers to build at least six demonstration projects to the new NEEM specification. Those demonstration projects will show how we can overcome those technical challenges and establish practices and training. It will also show how we can get a better idea of what the specific incremental cost will be for manufacturers to go from the old NEEM specification to the new one. And that will help define what our incentive strategy is. It’s possible that we can provide an upstream incentive for manufacturers to help offset some of this incremental cost while still enabling utilities to provide their downstream incentives to the home buyers. We hope the combination of those two incentives will be able to accelerate the adoption of the new NEEM specification once it’s ready. CEFF: Have you heard feedback from consumers on how they’re responding to the program or what their views are? Grigsby: We’re in the middle of some market research now to find out what consumers are looking for during the manufactured-home purchase process. That’s going to give us a better understanding of where some of our main points of influence are during that process. It’s an innovative market research approach we’re doing at NEEA that we haven’t done before. It involves talking to recent buyers of manufactured homes to find out what that purchase process was for them, how they researched different options and where to buy their manufactured homes, and what some of the motivators were in making a decision on the level of energy efficiency that they were buying. So we haven’t had a chance to look at many of the results right now, but they should be available soon. From them, we will better understand a home-buyer’s perspective and purchase motivations. Then we’ll be able to come up with the right messaging that’s going to resonate with potential home buyers as they’re going through that process. We hope we’ll be able to create marketing materials with that and work with the retailers to help position these more energy-efficient homes the right way. That’s going to be most appealing for the home buyers. CEFF: What is your estimated time frame for putting all of this in place? Grigsby: I think we’ll be able to wrap up the market research by the end of February. We’re getting ready to conduct some more of those interviews with recent home purchasers. We’re including a marketing agency in some of those so they can start to craft the types of messaging. They can also develop a value proposition for consumers in order to create marketing material. The specification is going through technical review right now. We hope to have that complete by the end of Q1. And then that specification would be available for utilities as long as everything goes as planned. It would be available in October for utilities to start paying the home-buyer incentive on the new NEEM specification.